Born in Armenia, Nouneh Sarkissian is an artist, author and philanthropist based in Chelsea, London. She holds an MA in History of Art from Goldsmiths College, and is formally trained in studio painting and drawing. 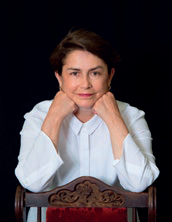 Nouneh has published 14 children's books in Armenian, Russian, Ukrainian and English, and is an impassioned patron of social and architectural projects in Armenia. Nouneh is a creator, collector and enthusiast of ﬁne art, and she instils this passion in her friends and family every day. 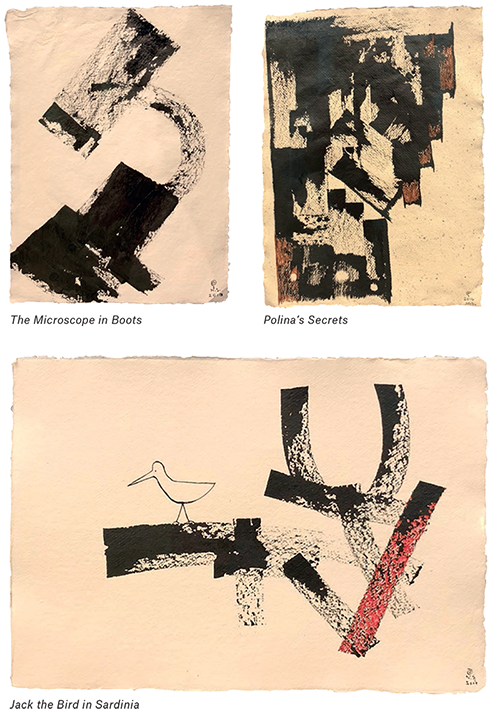 Black and White & Something Else represents a series of eight compositions of ink on paper, each portraying a unique abstract narrative by emerging artist and celebrated author Nouneh Sarkissian. Bordering on the verges of conceptual, representational and psychological pictorial approaches, Nouneh’s artistic process is wholly automatic and unhindered by intention or any conventional aesthetic. Rather, her method offers meaning in its honest and candid approach to expression and composition. 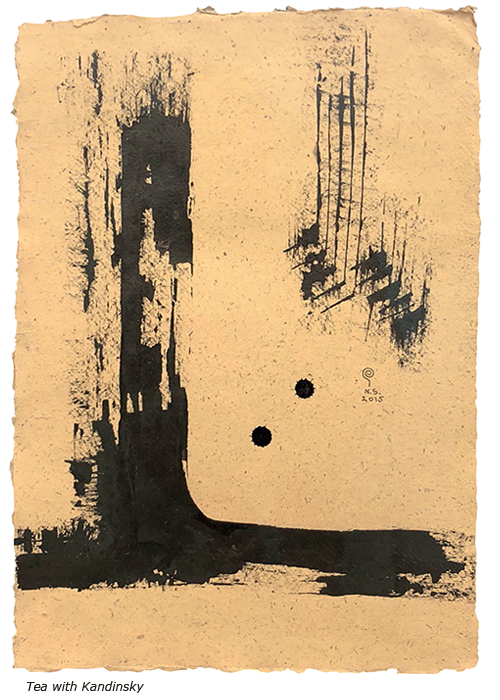 Executed on ﬁbrous, handmade paper, lustrous India ink is applied to each sheet with reeds of varying widths, sometimes detailed with a range of sanguine and red pens, and then playfully accented with ﬁgurative components, birds being a common feature. The surrealist association with this dreamlike motif is further echoed in the title assigned to each work, inspired by an ephemeral thought, free association, mood or personal circumstance. 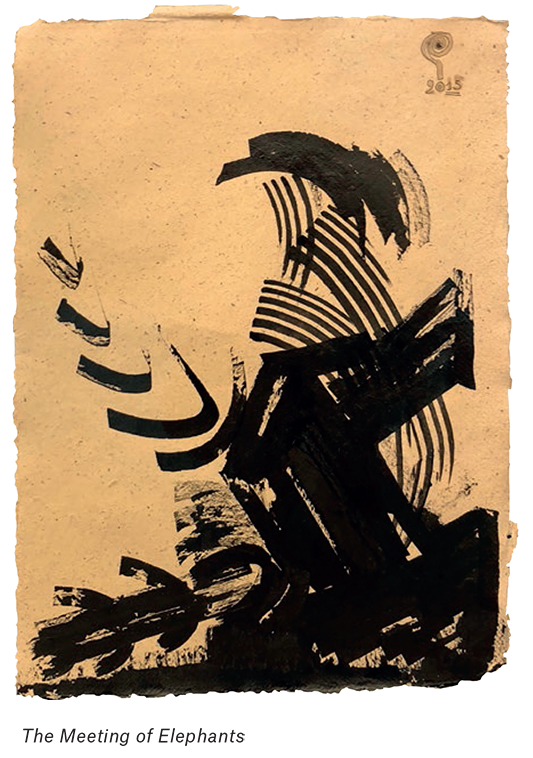 The act of gesturally applied ink is reminiscent of calligraphy, an art also explored by the artist in her early experimentation with the medium. 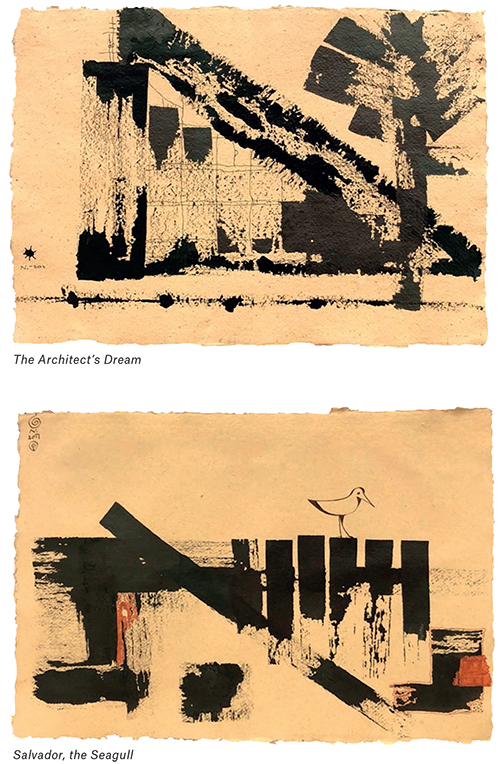 The result in each case is a distinct visual musicality; a story told by means of process and the act of free expression. Black and White & Something Else will be on view at Everard Read Gallery, 80 Fulham Road, London SW3 6HR from 30 January – 17 February 2018.